Back in August, I showcased as a RAW artist during their RADIATE show at the Hollywood Key Club. It was an amazing experience where I got to meet some fantastic artists! 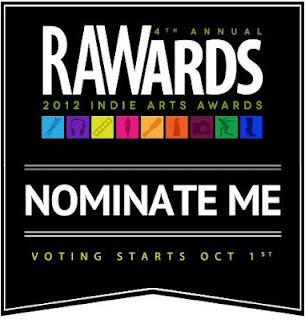 Another bonus of being a RAW artist is that you automatically qualify to compete in the RAW awards contest. 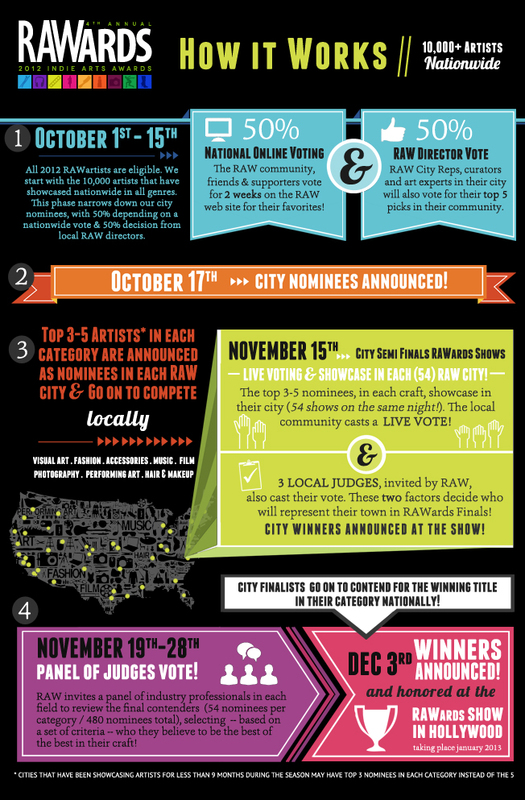 At the end of every RAW season (October), RAW hosts a competition that selects 9 winners out of over 10,000 artists that participate across the US and beyond. 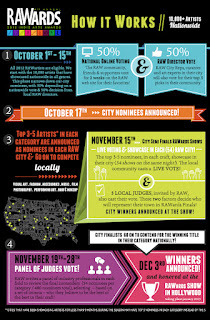 Over the course of the competition, RAW artists engage in online voting, city-based semifinal showcases and a final judgments by the official RAWards judges line-up, which consists of a mix of creative celebrities and well known industry professionals in each artist field. The winner's receive career-building prize packages such as placement in boutiques or galleries, products, services, consultations with judges and exposure of a lifetime. Check out this awesome info-graphic for more info. Nominations begin today and lasts until October 15th! So please take a moment and vote for me HERE! You'll need to create a login in order to nominate, but I highly suggest you do and apply to become a RAW artist yourself next year! More info about becoming one here.